This is the joyful yet heartbreaking true story of four friends who walk a 21- day pilgrimage from the sea to the source of Melbourne’s Yarra River. There is no path for most of the way, but offers of campsites and boats, and free access to private lands, illustrates the generosity shown to pilgrims even in modern times. 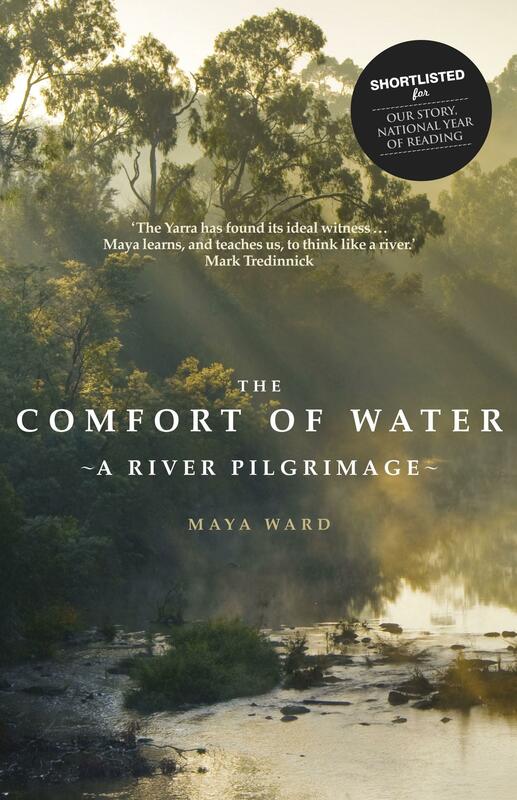 The Comfort of Water: A River Pilgrimage, Maya Ward’s lyrical exploration of her river as it winds through the city and the wild is a revelation, a testament to the fact that the greatest of worlds are often at our doorstep. Maya’s telling of her own journey and that of her fellow walkers is seamlessly woven together with ecological and cultural history, the revelation of the pilgrim’s path and the unknowable depth of Aboriginal myth. Through trekking this Wurundjeri Songline, this ancient, ever-renewing river, she discovers rich possibilities of belonging, and shares how a river can nourish the passion and resilience required to transform our world.